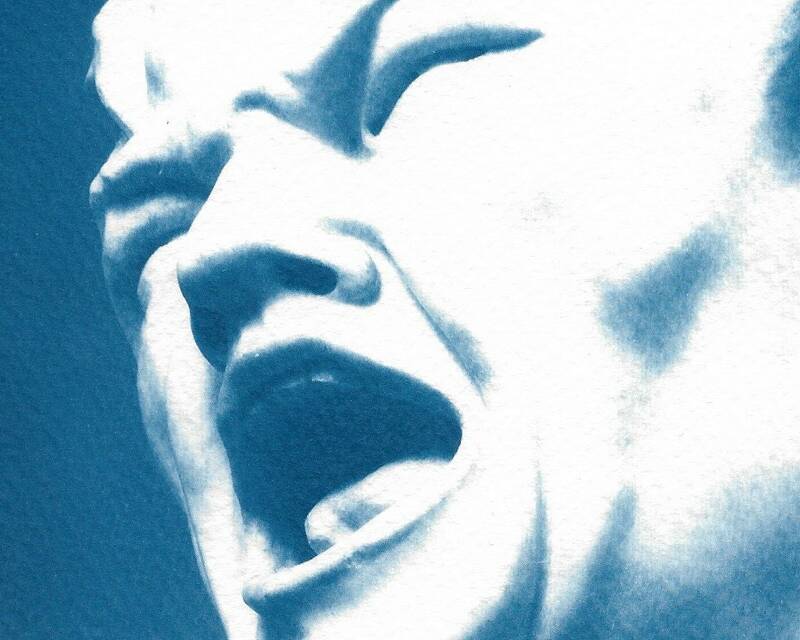 This amazing image is a detail from 17th century Italian sculptor Gian-Lorenzo Bernini's " The Damned Soul". 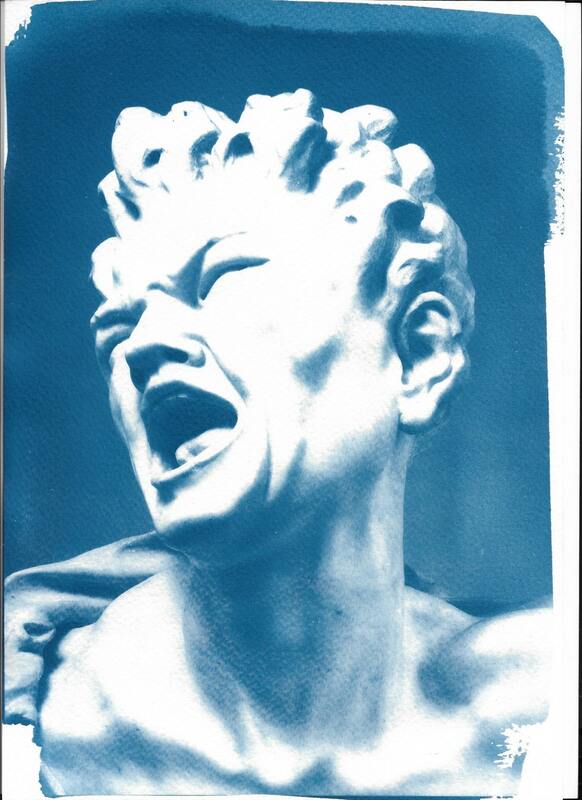 As usually, Bernini's expressions are incredibly beautiful. 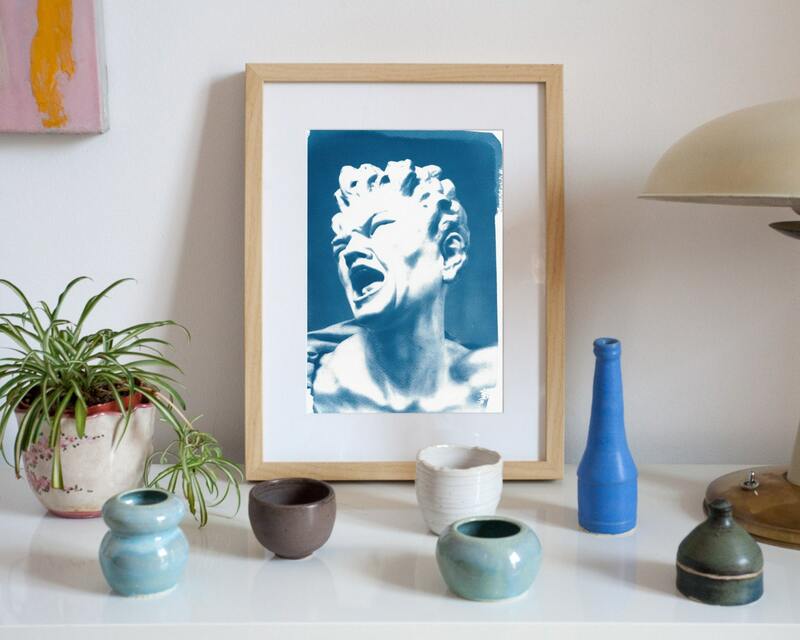 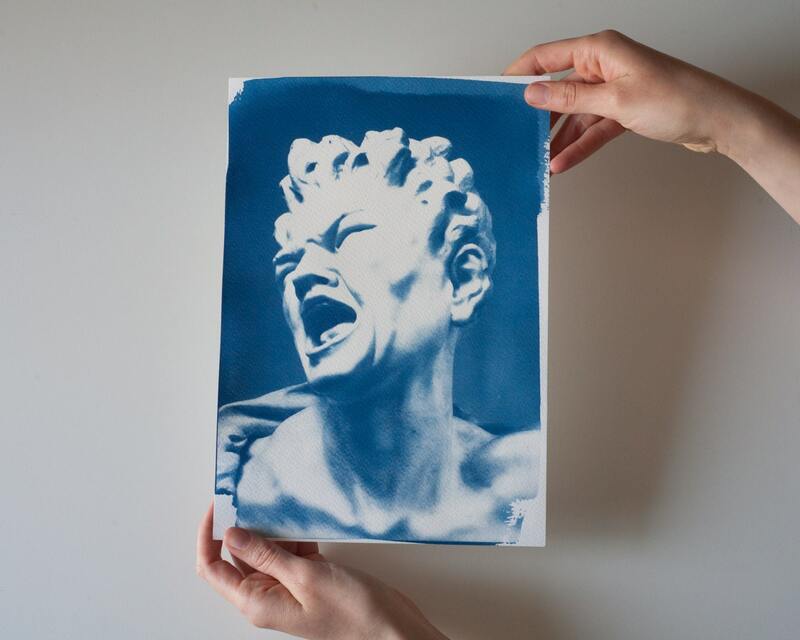 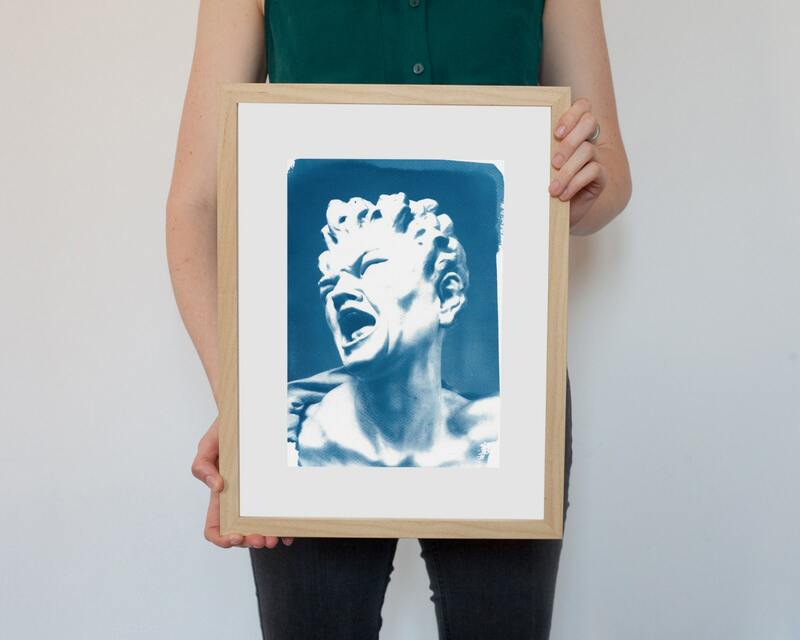 Great suggestion: Hang it on your wall next to another of our Bernini's sculptures cyanotypes!